Most people understand the importance of taking their car in for regular maintenance. Of course, your Mercedes-Benz isn’t just any old car! The three-pointed star carries with it an air of luxury, exclusivity and quality. Maintaining that prestige requires the specialist knowledge of a dedicated Mercedes-Benz expert. Mercedes-Benz vehicles are a lot like Swiss watches. People hang on to them for a while and in many cases, end up passing them to relatives. Whether you own a third-generation Mercedes or have treated yourself to the latest model, you want your vehicle to go the distance. How can you ensure that your precious Mercedes-Benz stays in good condition for years to come? Ammstar’s Mercedes-Benz specialists share their top tips. German vehicles are known for being highly engineered. And your Mercedes-Benz is no exception! When it comes to Mercedes servicing, we have one main piece of advice: don’t cut corners on parts and oils. 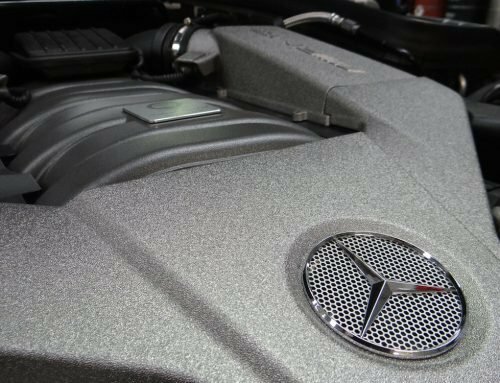 While Mercedes vehicles aren’t super picky, in our experience the best way to guarantee a long life is using only high-quality parts and oils. That means not fitting dodgy aftermarket parts! At Ammstar Exclusive, we ensure that your Mercedes is serviced with only the best parts and oils. We supply spare parts and components from original manufacturers and select synthetic oils that we know work best with your engine. When your vehicle tells you it needs maintenance, pay attention! While it’s starting to appear in more vehicles, Mercedes-Benz was one of the first big manufacturers to implement on-board computers in their vehicles. When it comes to maintenance, these on-board computers are responsible for tracking your vehicle’s overall health. This is Mercedes-Benz Service ASSYST. By tracking fluid levels, mileage and age, these complex systems will tell you whenever you need maintenance. It will give you a heads-up when you’re overdue for routine maintenance in accordance with the Mercedes-Benz service guide. On top of that, it will also alert you in the event that you need emergency servicing. So if your dashboard suddenly lights up with a warning, we recommend paying attention to it! And not just any old mechanic either, but a Mercedes-Benz specialist! Why does this matter? It’s simple: your local corner mechanic simply might not be up to the job. We’re not saying this to take them down a peg. Rather, it’s the unfortunate truth of the matter. A local mechanic faces problems from dozens of makes and models – how can you be sure that they can accurately diagnose your Mercedes’ unique problem? Your Mercedes is not a cheap car – it’s an exclusive vehicle. And luxury is just one half of that exclusivity. The other? Everything under the bonnet. Mercedes-Benz vehicles make use of a lot of unique high-end technologies and parts. Your regular mechanic mightn’t have much exposure to these at all – some might seldom see a Mercedes-Benz roll into their workshop. Not to mention, they mightn’t know what is involved – or what they should recommend – for various Mercedes-Benz service packages! Let’s say your dashboard lights up with Mercedes-Benz Service B. While it includes things your regular mechanic can do, it also includes other services tailored for your unique model. For example, Service B for a C-Class Coupe will be different from Service B for a Sprinter. Phew – confused? We understand. But we also understand to not only look at the service recommendations, but make our own recommendations, too, based on our specialist knowledge and after a full inspection of your car. Long story short? 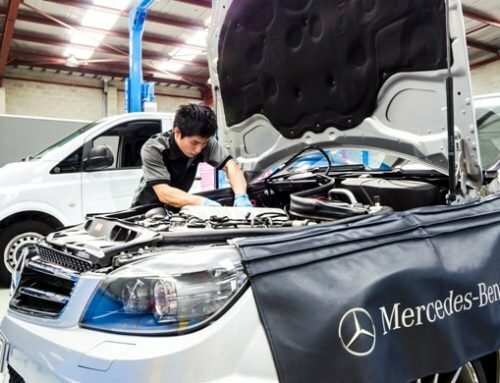 For Mercedes-Benz servicing in Melbourne, you need a specialist. Your Mercedes deserves the best. The only problem? Normally, that type of service comes with a pretty hefty price tag! We understand that, which is why we offer an affordable alternative to dealership service. Expert knowledge – we can tell if something’s off just by sitting in the front and feeling how the car drives! Commitment to value – not all routine maintenance needs to be done at once – and we explain this in terms you can actually understand! 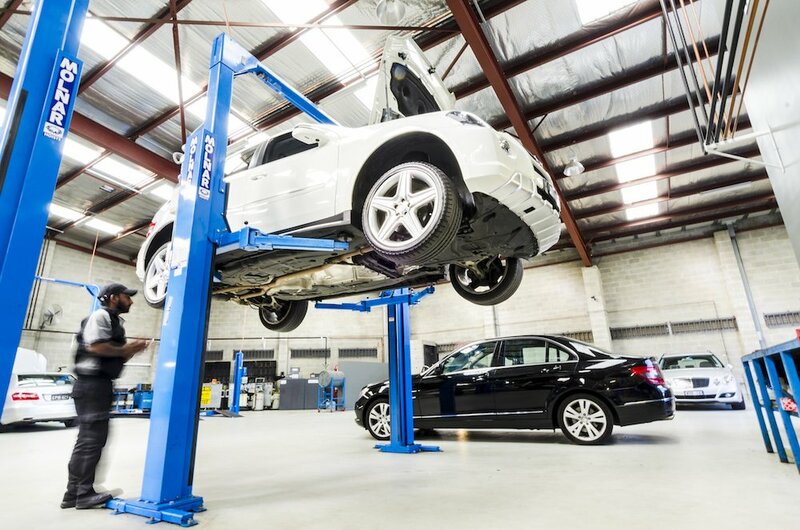 If you own a Mercedes-Benz, stop by our workshops in Fairfield and Moorabbin. Alternatively, click here to make a booking for your vehicle or ask any questions you may have!